Are you considering being fully initiated into membership within the Catholic faith, or do you know someone who might be? The Rite of Christian Initiation of Adults (RCIA) process is designed to journey with individuals as they learn and discern about the Catholic faith. 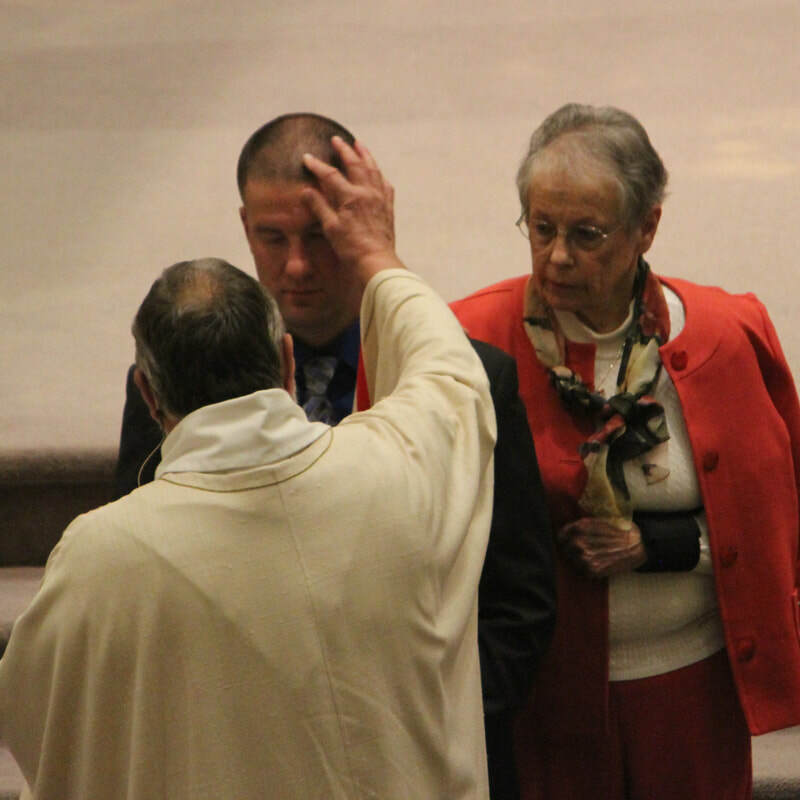 RCIA is the adult process of becoming fully initiated in the Catholic Church, receiving the Sacraments of Baptism, Eucharist and Confirmation. RCIA is about sharing stories, asking questions and gathering information in a small group setting with the RCIA team and others, like you, who are seeking to receive the sacraments. The RCIA process is patterned after the process used in the early Christian community. Becoming a Christian in the early church meant a step-by-step journey with the community before full membership was achieved. The "community of believers" was expected to share their faith with the catechumens (those asking to become Christian) and celebrate each step along the journey with them. With Vatican Council II, the process of the catechumenate was restored. It is a process of formation, sanctified by various liturgical rites that mark progress in the journey of faith and culminate in full membership in the Catholic Christian community. A very important part of the process and its rites are celebrated within the parish and diocesan communities. Please contact the Faith Formation office to inquire about RCIA.